Last year I shared one of my favorite holiday traditions – ornaments from Aunt Catherine! This year, most of my extended family loaded up in two cars and drove to Aunt Catherine's house for what we call "Family Christmas." We tend to get together the weekend before Christmas, so that everyone is at their own homes for actual Christmas. 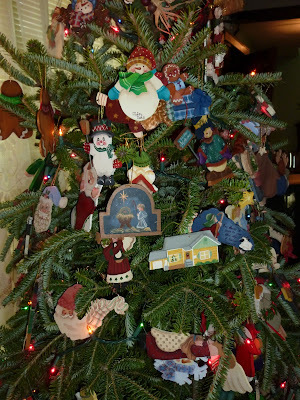 While it was great to see everyone, I also loved seeing Catherine's tree. 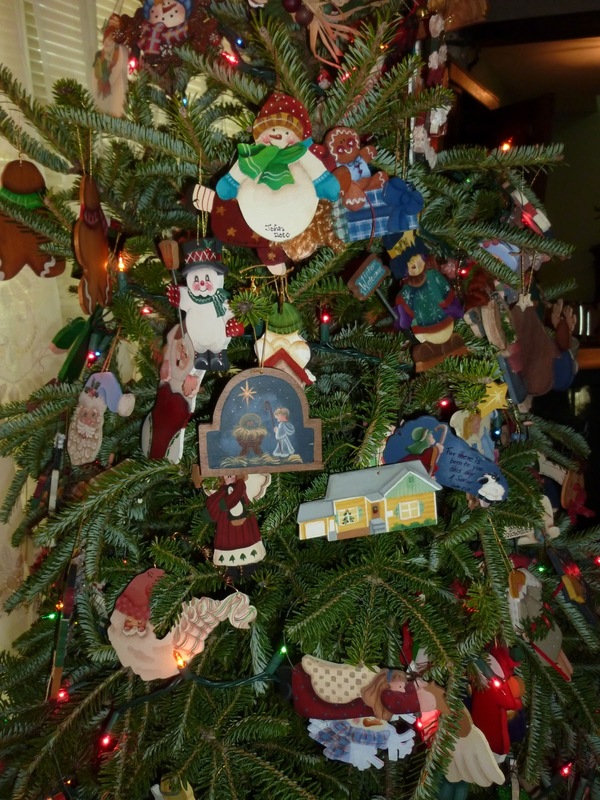 Which, of course, is loaded top to bottom with her awesome ornaments. The poor tree was struggling to hold them all! 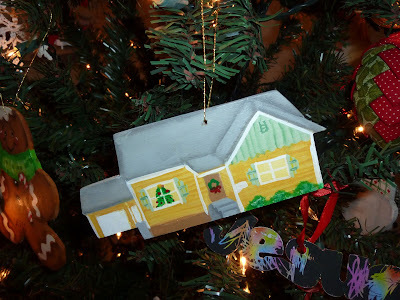 Above is the ornament she painted for everyone this year. It's very special because that's grandma and grandpa's house. Which he built himself! I've got lots of memories playing in that house. It makes me smile every time I look over at the tree. And here is some cuteness for the boys. 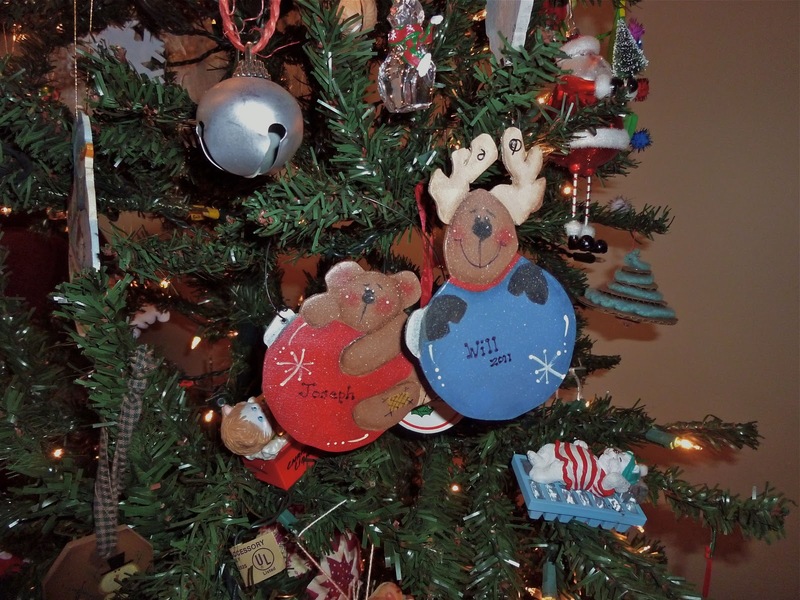 They are going to have quite the ornament collection ready for their own trees. Not that I'm letting them have all of them!